Daily limit of bait fish for personal use is 2 quarts liquid measure. See special rules for rainbow smelt on Freshwater Smelt. No more than 6 bait traps shall be used to take fishing bait, and all bait traps, holding boxes, or other receptacles shall be plainly marked with the name and address of the owner or user. In addition to angling and ice fishing, suckers may be taken for personal use as bait by use of traps, made of wire slats not more than 50 inches long nor more than 30 inches wide, with an aperture for the entrance of fish no smaller than 3 1/2 inches in diameter, except as otherwise provided in Fis 406 and Fis 407. No more than 2 traps shall be used by a licensed fisherman, and all bait traps, holding boxes or other receptacles shall be plainly marked with the name and address of the owner and user. There are no bag limits for suckers. No bait fish shall be imported from states known to have waters infested with zebra mussels or from states which allow the import of bait fish from states infested with zebra mussels unless the source of bait fish is approved free of zebra mussels. Licensed bait dealers may take freshwater smelt for sale as bait or for personal use, in accordance with the restrictions for taking smelt in Fis 400. No licensed bait dealer shall have in possession more than one daily limit of freshwater smelt while taking freshwater smelt for sale as bait from streams, pond or lakes, or when leaving such waters. Licensed bait dealers may take smelt in the waterbodies listed above by means of a dip net held in hand, a drop net not over 48 inches in diameter, or by means of a square umbrella net not over 42 inches on a side. The daily limit for smelt taken in waterbodies listed above shall be 8 quarts liquid of whole, head and tail intact, freshwater smelt in the 24 hours between 12 noon one day and 12 noon the following day. Crayfish may be taken for personal use with traps. The number of traps is limited to 6 per person and must have the person’s name and address attached. Persons wishing to trap and sell crayfish for bait must purchase a commercial bait dealer’s license. There are no daily bag or possession limits for crayfish. 6 trap limit does not apply to dealers. For more information about licensed bait dealer regulations, please contact the N.H. Fish and Game Department’s Inland Fisheries Division at (603) 271-2501. Bait and non-native plants and animal hitchhiking in bait can harm our lakes and rivers. 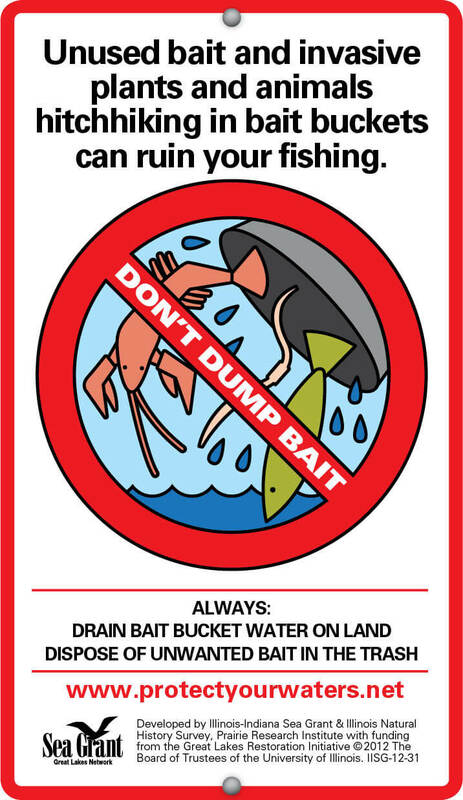 Remember not to litter—please dispose of bait containers in appropriate receptacles!